Give the team at Signarama Geelong a call today for a free signage consultation and discover the Signarama difference. Our focus on supplying clients with unrivaled service and quality is backed by the support of Signarama, the world's largest and most successful network of sign stores. At Signarama Geelong we cover all forms of signage for your business including: A-Frames, Banners, Vehicle Signage, Rear Window Signs, Decals, Directional Signs, Exhibition Signage, Flags, Fascia and Awning Signs, Shop Front Signs, Trade Show Displays, Retractable Banners, Vehicle Wraps, Neon Signs, Lightboxes, Floor Graphics, Individual 3D Letters and so much more! 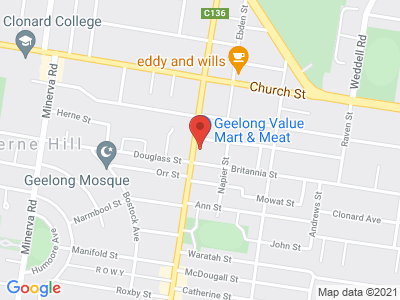 We are conveniently located at 58 Shannon Avenue, Geelong West, so feel free to drop in and have a chat to us about your next signage project. We're here for sign consultation, sign design, sign manufacture and signage installs. We want to make buying signs so easy that you can just get back to running your business and leave the worrying about signs to us! Professional sign design, top quality production methods, and expert installation ensure you are in safe hands with your local Geelong signs team at Signarama.